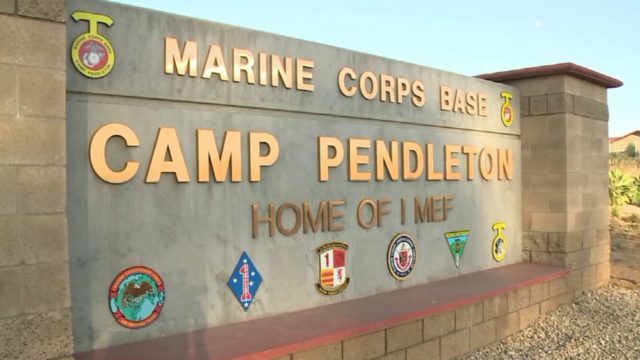 A Camp Pendleton Marine accused of driving drunk and causing a wrong-way crash that killed a father of two on a rural Bonsall-area road early on New Year’s Day was scheduled to be arraigned Friday on a slate of criminal charges that could include murder. Adam Daniel Barooshian, 25, was allegedly speeding to the east on the westbound side of state Route 76 near Via Monserate shortly before 4 a.m. Tuesday when his Lexus IS 300 hit an oncoming motorcycle ridden by 29-year-old Christopher Williams of Oceanside. At the time of the deadly collision, Williams was on his way home from his job as a security guard and emergency medical technician at Pauma Casino, according to the Oceanside Police Officers’ Association, which employs the victim’s wife as a public-safety dispatcher. Williams died at the scene of the crash. Medics took Barooshian to Palomar Medical Center for treatment of superficial injuries. About six hours after the deadly wreck, the Massachusetts native was booked into county jail in Vista on suspicion of driving while intoxicated and murder. The latter charge stems from a prior recent DUI charge still pending against Barooshian, CHP public-affairs Officer Mark Latulippe said. Williams is survived by his wife, Sarah; and sons, Jonathon, 8, and Nathan, 5. A GoFundMe.com donation account has been established for Williams’ family. It can be accessed online at gf.me/u/ptdm2t.